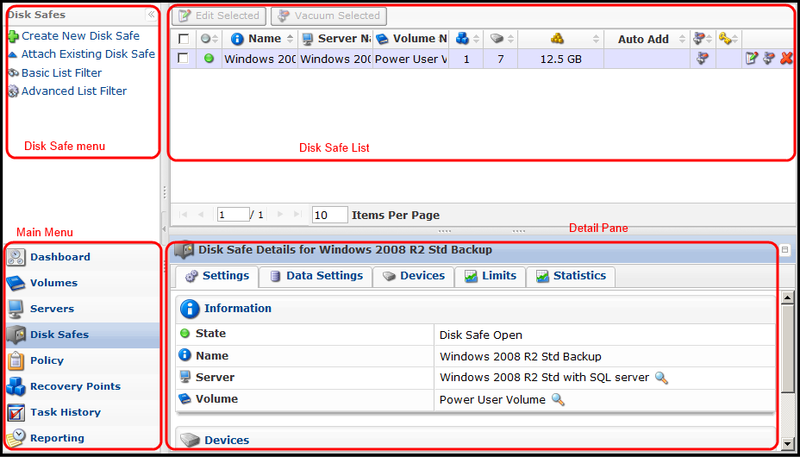 In Disk Safe list, look for the disk safe you want to change, and click on the "Edit" icon in the action column (last column) for the disk safe. Edit Disk Safe window will open with the following tabs available for editing. More details can be found in this topic "Adding a disk safe". When you are done with your changes, click [SAVE] button in the screen above. 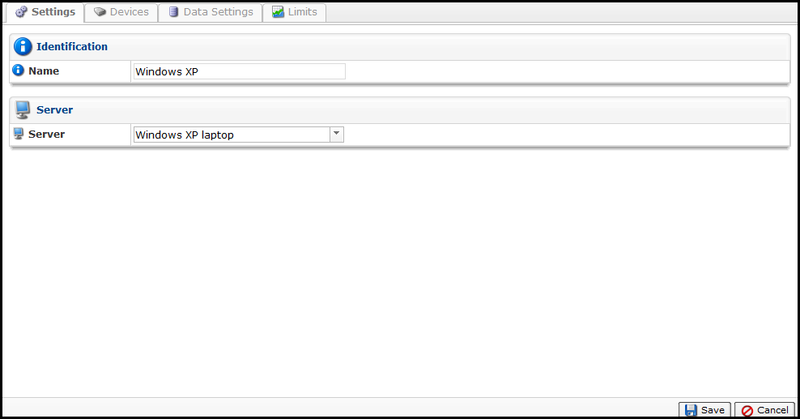 You can also use the "Edit Selected" button, you can change compression settings of multiple Disk Safes at once. This change will be applied to all selected disk safes. First, click on the disk safes you would like to edit together, followed by using the "Edit Selected" button. 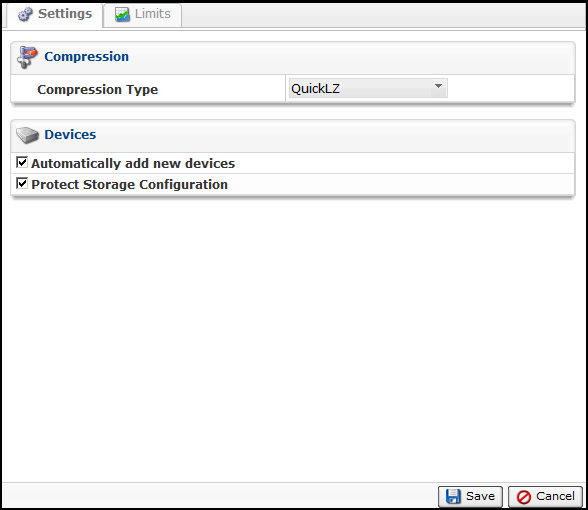 Compression Type - Define the type of compression for the disk safe(s). See information in "Add new disk safe". Automatically add new devices - See information in "Add new disk safe"
For details in editing properties in "Limits" tab, please read "Add new disk safe". To save you changes, make sure you click on [SAVE] button.